Last year, DJ JaySmoke dropped the top jams of 2016 which featured the very best Afro-Pop tunes from Africa. 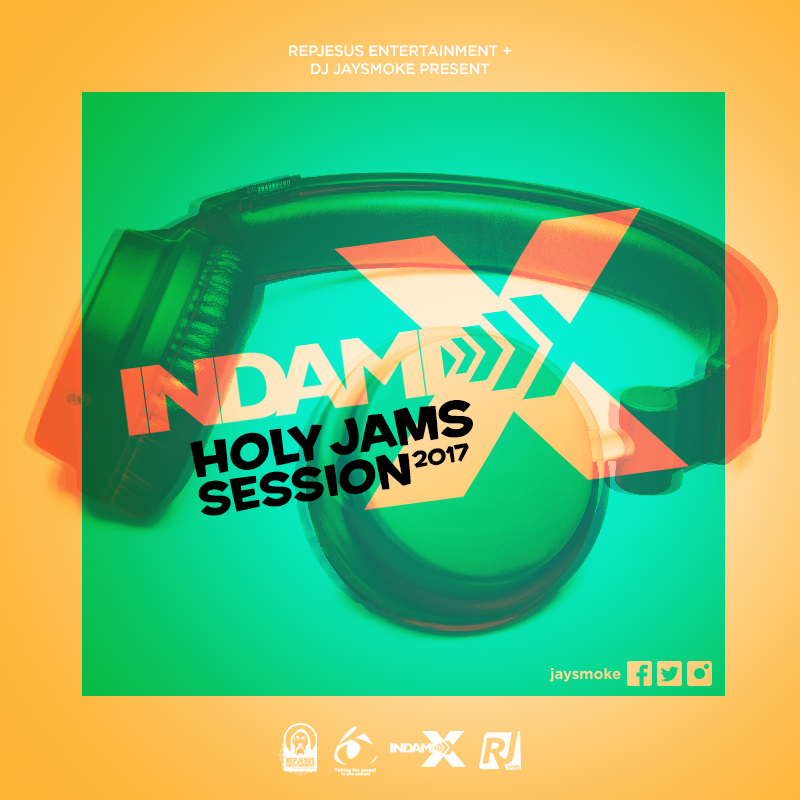 This year, DJ JaySmoke and RepJesus Entertainment bring to us InDaMix Holy Jams Session 2017. A compilation of some of the dopest jams of 2017 cramped into 1hr of non-stop mix. Enjoy this mix and don't forget to leave your comments below. You can click on any of the tracks above to download them individually. I pray that you enjoy this mix and also that the joy of the Lord will overflow in your life as you let these tracks bless you. Get your dancing shoes on, cast all your cares at the Lord's feet and dance away all your troubles ~ JaySmoke. Special thanks to God for this opportunity once again. To you, for all the support you have given me. To TeamRJE. To Mr Anderson (CEO, GFMM) for the console I use to create this mix. And to everyone who has supported me one way or another. Compiled & Mixed by JaySmoke for Repjesus Entertainment.